Create a beautiful shaded area outside your home with custom selected awnings that suit your budget and your home. We have a large range of outdoor sun shades by leading brands, offering only the best products that will last through the elements and the years with style. Enjoy Al Fresco living outdoors, protected by the sun. 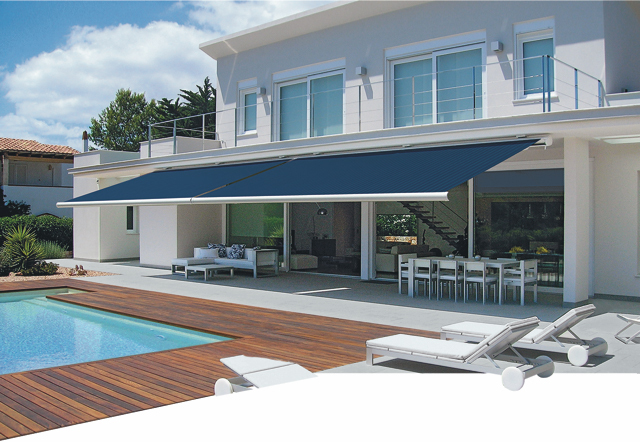 Our awnings can be installed with Somfy’s reliable motorised operations for ease and comfort. Our highly trained experts will advise you on the right products for the right location, with design consultants on hand if required. Contact us today for further information.